Kerem Yazgan & Begüm Yazgan, 2015 WAF Overall winners – AkzoNobel’s Prize for Colour in Exterior Architecture will hold a lecture at this year’s INGLASS Warsaw (October 11) and INGLASS Budapest (November 22). The partners from Yazgan Design Architecture will present their awarded project, ONS INCEK Showroom & Sales Office. The special prize they received at WAF rewards creative ways of integrating color on the exterior of a building. “ONS İNCEK” is a luxury residential project consisting of three colorful towers containing 992 residences. The interior of the showroom is enveloped with a numerous amount of repetitive vertical colored glass panels. 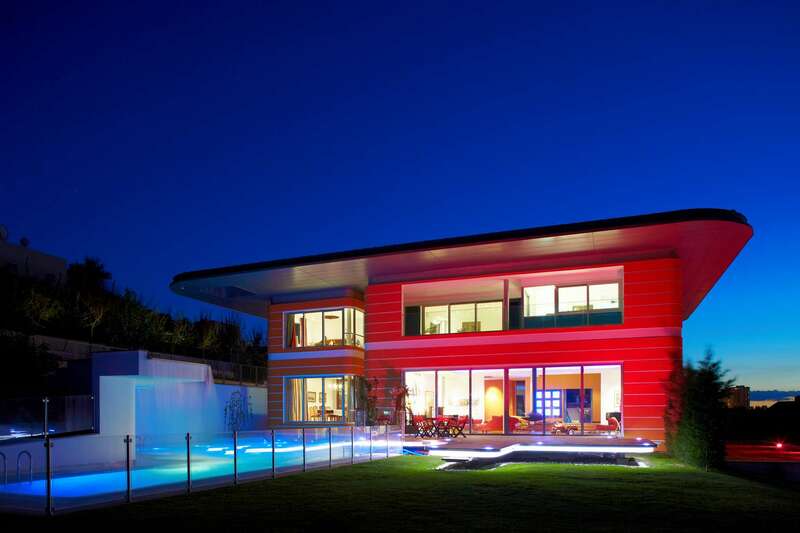 Color is also of great importance to the overall design intent of the project as a whole. Each tower facade is also wrapped with glass panels and is made up of six different tones of orange, green, or blue. 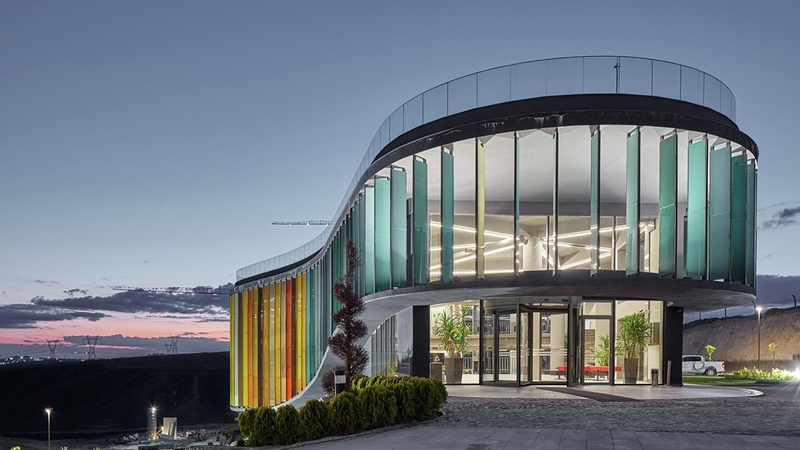 The undulating exterior wrapped with this gradient of colored panels of glass give the building a shifting presence depending on one’s location. The project is also a winner of 20+10+X Architecture Awards 18th Cycle, the awards given by World Architecture Community. Kerem Yazgan and his wife Begüm Yazgan opened the office in 2003, in the same year in which he received a PhD degree from METU Department of Architecture. His doctoral dissertation entitled “Designography in Architecture” is about his researches on the systems and acts in the architectural design. His design approach is based on the association of theory and practice and systematization of design process. He realized diverse architectural projects with the idea that he defines as “the design of the design act”, which is based on writing the program of architectural design. Begüm Yazgan graduated from Istanbul Technical University Department of Architecture in 1995, where she received a B. Arch degree. She worked on national and international projects of shopping centers, residence, bank, hotel and university buildings in private architectural offices from 1995 to 1998. She attended Tokyo Institute of Technology as a doctoral researcher supported by a fellowship in 2001. She gave lectures and attended various courses in the university. She obtained her PhD. Arch degree from METU Department of Architecture in 2006. Her doctoral dissertation entitled “Post-War Systems Ecology and Environmetally-Appropriate Approaches in Architecture since 1960s” won the “Best Thesis of the Year” award in Middle East Technical University in 2007. It is about the ways in which systems approach, which found a place in the science of ecology after the 1960s, has a profound effect in contemporary discourse in sustainable architecture and the current green architectural practices.